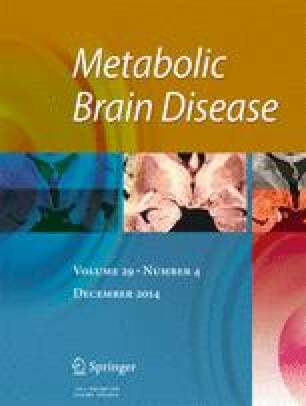 Minimal hepatic encephalopathy (MHE) impairs daily functioning in cirrhosis, but its functional brain impact is not completely understood. To evaluate the effect of rifaximin, a gut-specific antibiotic, on the gut-liver-brain axis in MHE. Hypothesis: Rifaximin will reduce endotoxemia, enhance cognition, increase activation during working memory(N-back) and reduce activation needed for inhibitory control tasks. Methods: Cirrhotics with MHE underwent baseline endotoxin and cognitive testing, then underwent fMRI, diffusion tensor imaging and MR spectroscopy(MRS). On fMRI, two tasks; N-back (outcome: correct responses) and inhibitory control tests(outcomes: lure inhibition) were performed. All procedures were repeated after 8 weeks of rifaximin. Results were compared before/after rifaximin. Results: 20 MHE patients (59.7 years) were included; sixteen completed pre/post-rifaximin scanning with 92 % medication compliance. Pre-rifaximin patients had cognitive impairment. At trial-end, there was a significantly higher correct 2-back responses, ICT lure inhibitions and reduced endotoxemia(p = 0.002). This was accompanied by significantly higher activation from baseline in subcortical structures (thalamus, caudate, insula and hippocampus) and left parietal operculum (LPO) during N-back, decrease in fronto-parietal activation required for inhibiting lures, including LPO during ICT compared to baseline values. Connectivity studies in N-back showed significant shifts in linkages after therapy in fronto-parietal regions with a reduction in fractional anisotropy (FA) but not mean diffusivity (MD), and no change in MRS metabolites at the end of the trial. A significant improvement in cognition including working memory and inhibitory control, and fractional anisotropy without effect on MD or MRS, through modulation of fronto-parietal and subcortical activation and connectivity was seen after open-label rifaximin therapy in MHE. The online version of this article (doi: 10.1007/s11011-014-9507-6) contains supplementary material, which is available to authorized users. Partly supported by grants U01AT004428 from the National Center for Complementary and Alternative Medicine, grant RO1AA020203 from the National Institute on Alcohol Abuse and Alcoholism, grant RO1DK087913 from the National Institute of Diabetes and Digestive and Kidney Diseases, the McGuire Research Institute and an investigator-initiated grant from Salix Pharmaceuticals. The funders had no role in study design, data collection and analysis, decision to publish, or preparation of the manuscript.